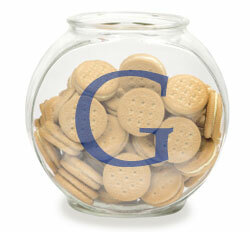 Cookies are small text data given to a web browser by a web server. The data is stored on a website visitors’ hard drive and is returned to the specific web server each time the browser requests a page from that server. Cookies are used by web servers to remember information from page to page and visit to visit, and can contain information such as user preferences, shopping cart contents, the identifier for session Ids, and can know whether users have logged in and do not need to authenticate again as they navigate through the site. Google Analytics uses only first-party cookies as opposed to third-party cookies. This means that all cookies set by Google Analytics for your website domain send data only to your server. This means that the data cannot be altered or retrieved by any third party server. __utma, This cookie lasts for 2 years from setup/update and is typically written to the browser upon the first visit to your site from that web browser. The purpose of this cookie is to determine unique visitors to your site and it is updated with each page view. __utmb, This cookie lasts for 30 minutes from setup/update and is used to establish and continue a user session with your site. __utmc, This cookie operates in conjunction with the __utmb cookie to determine whether to establish a new session for the user or not. This cookie does not have an expiration date. It expires as soon as the user exits the browser. __utmz, This cookie lasts 180 days from setup/update and stores the type of referral used by the visitor to reach your website. This cookie is used to identify whether the visitor has reached the site via a direct method, a referring site, a search engine, or a campaign such as a text ad, banner ad or an email campaign. A __utmz cookie contains domain hash, timestamp, session number, campaign numbercould look like: utmz=181178431.1117767825.1.2. __utmv, This cookie lasts for 2 years from setup/update and is used to create a custom user segment (e.g., paid vs. non-paid visitors). This cookie is optional and will be set only if the setVar method is called. __utmx, This cookie lasts for 2 years from setup/update and is used by Website Optimizer and only set when the Google Website Optimizer (GWO) tracking code is installed.